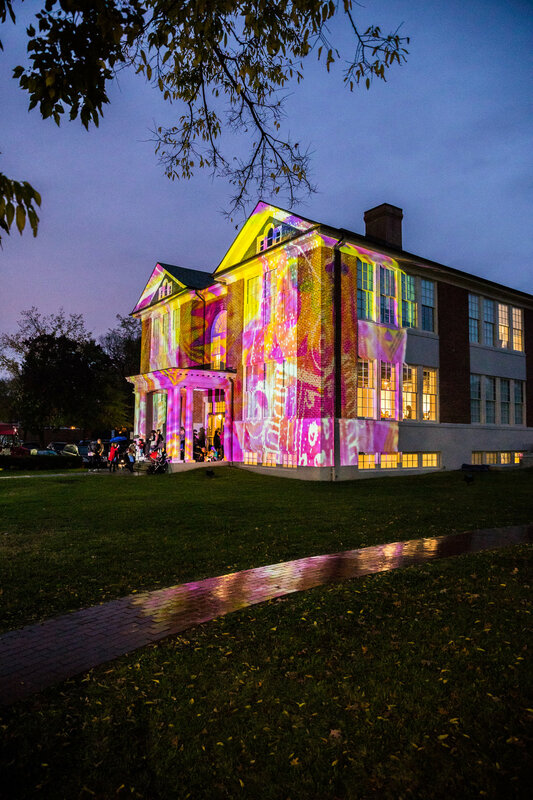 Artists Edgar Reyes and Robin Bell worked collaboratively to produce this projection inspired by the vibrant colors that are typically associated with the celebration of Día de los Muertos. The work is an exploration of visual elements from Catholicism, Native spirituality, and popular culture. The goal of the piece is to highlight the hybrid nature of the holiday and reflect how the indigenous diaspora is part of the ongoing migration throughout the America’s. 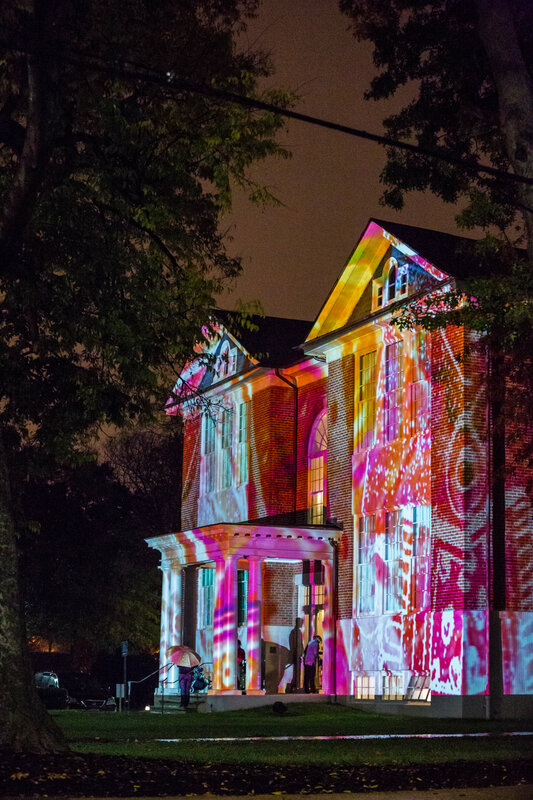 Colores was projected onto Arlington Art Center in partnership with with their Día de los Muertos themed event. 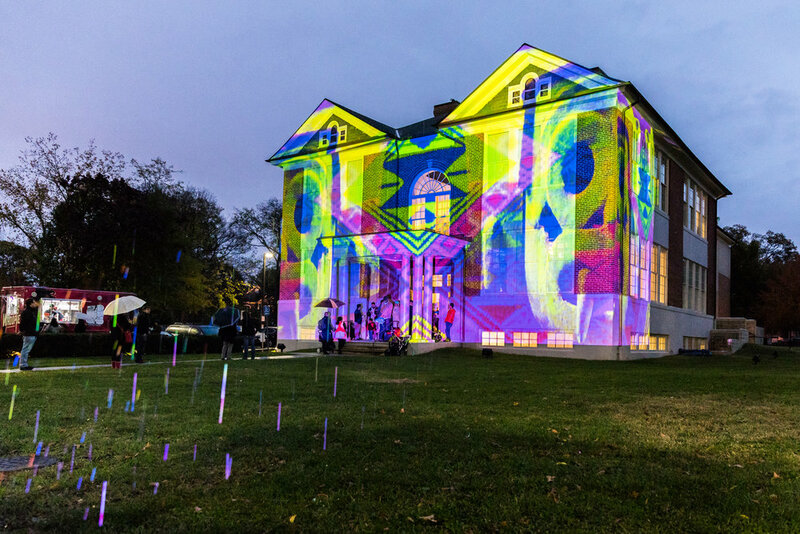 All images and video on this page courtesy Yassine El Monsouri for Arlington Arts.